The Taita Taveta County Commissioner Josephine Onunga has called on more resources to be pumped into boosting conservation efforts. Speaking during the Kenya Wildlife Service Law Enforcement Academy graduation ceremony on 13 June in Manyani, Taita Taveta, Onunga noted that while more rangers had been trained over the years, there was still need to better equip the rangers to face the myriad of challenges awaiting them in their line of work. 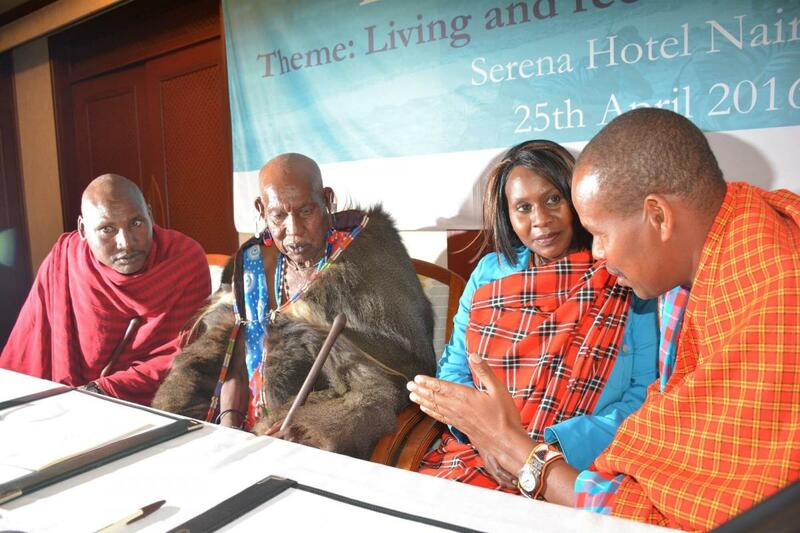 “Today, we are faced with enormous challenges, such as poaching, human-wildlife conflict and charcoal burning. 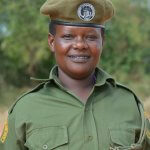 All these social ills require more trained rangers to protect our resources,” she said. 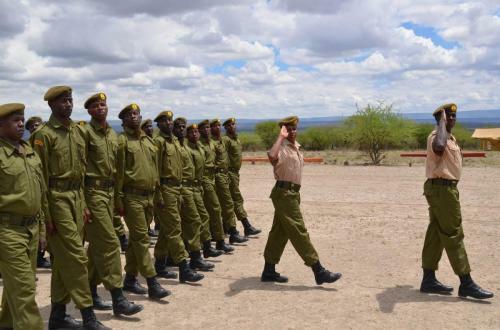 A total of 78 graduates drawn from Maasai Mara and Northern Rangelands Trust were handed their graduation certification, bringing to 1,102, the rangers who have been trained at the academy. The training equips the rangers with the necessary skills in wildlife conservation and management, anti-poaching operations, entrepreneurship, human-wildlife conflict resolution, good governance practices and natural resources management skills. KWCA CEO Dickson Kaelo, who was the chief guest at the ceremony, echoed Commissioner Onunga’s sentiments. He foremost recognised the partnership between Kenya Wildlife Service (KWS) and conservation partners in recruiting and supporting the training of conservancy rangers in the academy. He then urged the government through KWS to offer more resources to the academy to support training of conservancy rangers. Kaelo further called upon the conservancy stakeholders to work together towards stopping the startling loss of wildlife in the country. “Majority of Kenya’s wildlife live outside our parks and reserves and we are losing our heritage at an alarming rate,” he said. “Therefore, there is need as conservation stakeholders to work together to ensure our coordinated efforts towards wildlife and communities are safeguarded,” he added. To the graduating Class of 2017, Kaelo congratulated them and called on them to put into action knowledge acquired to improve their conservancies. “You have an onerous task of protecting the country’s wildlife heritage, a resource that cannot be bought with money. You are now ambassadors of our wildlife,” he said. 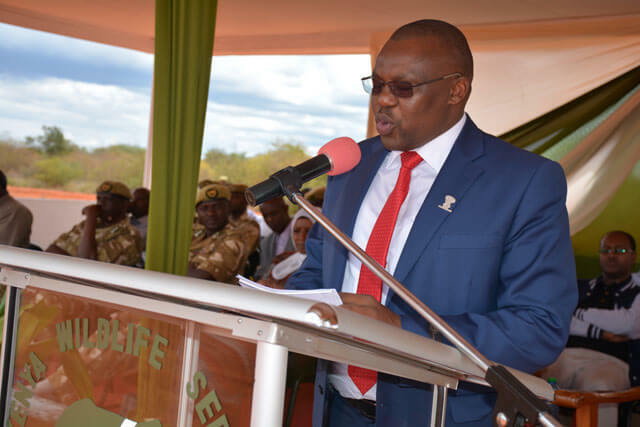 In a speech read on his behalf, KWS Director General Kitili Mbathi reiterated his commitment in ensuring that robust strategies were put in place for prudent conservation of wildlife resources. He encouraged the rangers to give their best in conserving the country’s precious wildlife resource. “As a ranger, you are not only a keeper of a park, forest or area, but you are also someone full of wisdom of nature and an out-of-the-ordinary need to protect the world’s natural and cultural treasures,” he said. Conservancy Rangers play a crucial role in the protection and preservation of wildlife in the country. They were thus recently recognised in the newly-launched Wildlife Conservation and Management Strategy as important resource in minimising wildlife threat in the country. According to KWCA’s data, the country boasts of more than 2,200 rangers serving in private and community conservancies. In this regard, Kaelo noted that KWCA has worked with KWS to produce Standard Operating Procedures (SOPs) for community rangers to enable the development of a well-structured force recognised at the national level. During the ceremony, Kaelo noted that KWCA, as the umbrella body for conservancies and conservancy rangers in Kenya, will continue pushing for such developments for the betterment of wildlife conservancy in the country. 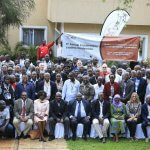 “We intend to support improvement of skills and build capacity for local communities to manage wildlife outside gazetted protected areas,” said Kaelo. The 78 grandaunts were drawn from Mara Siana, Mara Triangle, Kimintet, Oloirien, Oldonyo, Morani, Jaldessa, Oloisukut, Shurr and Songa conservancies. 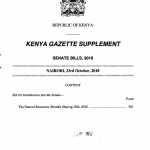 They will now take up full employment in their respective conservancies.